My friend Ronn grew up for most of his life in Fort Morgan, a rural town in northeastern Colorado. He is a marijuana consumer advocate and lives in Denver now. Adjacent to the town where he grew up is a sleepy little statutory town called Log Lane Village. 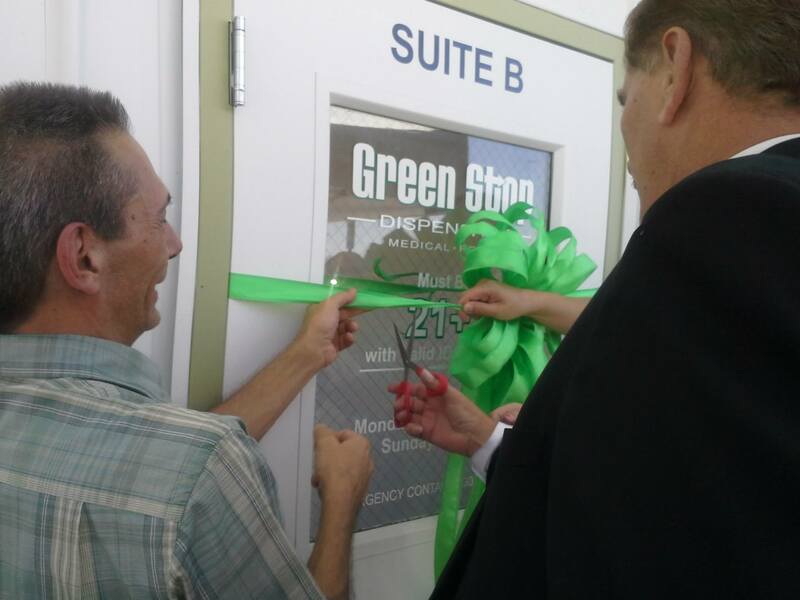 They opened their first medical and recreational marijuana dispensary on Friday, September 26, 2014. A key ally with Cannabis Patients Alliance, Ronn was one of many cannabis advocates who were instrumental in helping the town make their decision to bring legal marijuana to the community. As expert witnesses about public safety and cannabis related health care they came to speak at the public hearings and town hall meetings. He and I have talked so much about the process of “tipping this town” and our friends that were involved. Several people from Denver, with an understanding of cannabis, public safety and health and medical benefits, made their way to Morgan County to help the county commissioners and the town to make this important decision. Ronn asked me to come with him on Friday for the ribbon cutting and mentioned he wanted someone that could drive because he anticipated this time coming home again would be an emotional experience for him. He said to me, “This is what I have dreamed of for forty years, since I was a teenager first smoking weed in the high school parking lot”. I am always interested in a road trip, an emotional adventure never bothers me, and I was excited to go back to Morgan county, as we had been there before in regards to other cannabis activism work and I was impressed and intrigued with the area. I have been fascinated by that part of Colorado since the late eighties when I worked on a land surveying project there. Our trip started out uneventfully enough, but as we drove along, I could tell my friend was both stressed and anxious. We kept talking about his growing up years there, and what lead his family to move there. We talked about what it felt like to be the kid that smoked marijuana 40 years ago. 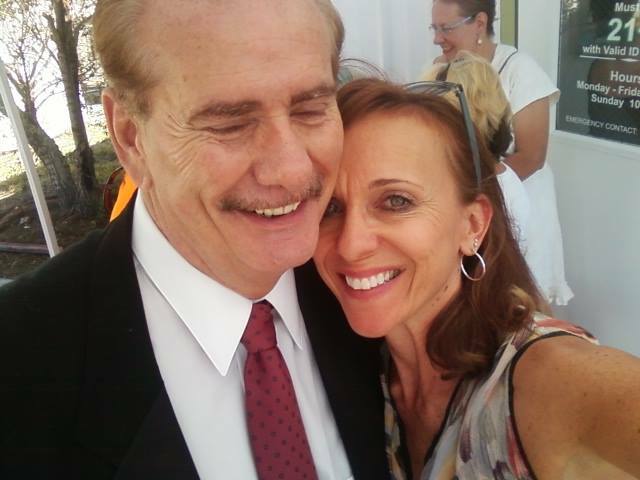 He told me how victorious he felt when the town voted to allow marijuana in their jurisdiction. Ronn is so proud of, and grateful for, his friends in the industry, and his “really smart” friends that are advocates for marijuana policy. Ronn Nixon and Log Lane Village Mayor Ed Parker cutting the ribbon at Green Stop. When we arrived at the Green Stop dispensary, it had just opened but the parking lot was full. I noticed that there were three cars in a row with license plates that either said Disabled Veteran or Vietnam Veteran. In Colorado, our servicemen and women cannot receive a Red Card, or a patient card for suffering from PTSD. We ask them to either lie that they are suffering from a covered condition or buy recreational marijuana, or use marijuana sold in the black market. I choked up when I saw a veteran walk out with his locked bag wearing a green t-shirt. I know it’s a small thing to wear a green t-shirt, but I understand the message. The next person that exited the store was wearing a ball cap with his Vietnam division information emblazoned across the front. Once again, I understand the significance of saying “this is who I am and I am buying legal marijuana today”. A little bigger lump in my throat as I saw the third person, also obviously a veteran, leave the store with his locked bag of marijuana. As he started his car, he waved his bag in the air and smiled at all of us. As we waited to go inside the store, a mother and her son were leaving. The son was rail thin, and looked so sick, and mom looked tired but gave us a sweet smile. They had come to Colorado so he could use cannabis to treat him for his condition. They were forced to leave their home in Nebraska, and were grateful that he has a chance of a better life in Colorado and that they were able to find an affordable rental, two towns away. A little tearier, thinking about being a refugee because your own home state is not providing legalization for patients. The inside of the Green Stop is very bright and friendly, much like the people who work there. Though the mood was upbeat, the overall vibe was of compassion and caring. Everyone that was there to buy marijuana was so interested in learning everything they could about the benefits of the products. It seemed to me that everyone was making new friends that day. During the ribbon cutting and speech, I learned that the Larsens, owners of the store, have moved to Colorado so that their son could be treated for his epilepsy with the high CBD oil. Every time I hear about a family that has had to leave everything behind to save their child’s life, I start crying. I am so inspired by the bravery and hopefulness of people that do it, but it also breaks my heart that on top of everything else, the only medicine that will work for their child is illegal in their home state. Even though I can intellectually understand the systemic institutional bias against marijuana, I still cannot imagine why any state does not have legal medical marijuana. We have had it in Colorado for over a decade. I learned that the mayor is also a medical marijuana patient. My friend and I both blinked back tears when the mayor spoke about the hopefulness of the town, and how this would help patients and bring in revenue. Everyone was so proud and happy when the ribbon was cut, it really was a moment where we all shared some hope for that town and for the patients. Afterwards, I sat on the curb and talked to the mayor (he stood) for a long time about his illness and about other patients he knew. We talked about how all the rentals in Log Lane Village were getting snapped up, and people were more interested in helping the city government now. We talked about people coming back now to a different town: a town that cares about patients. A woman waved to me from inside the store and I went inside to say hi. Despite her pretty brown eyes and lovely smile, I could tell she did not feel well. She was with a friend, who appeared to be in pain, and leaned against the wall while waiting. They both told me that they wanted to express to someone how grateful they were for this dispensary, and how they had spent many hours and too much money on gasoline driving to the nearest dispensary in Greeley. She said it felt like a dream come true to have a dispensary that was close by, run by people that cared about the community. As I drove along, I thought about all of the people in that small town coming together because of a little boy who needed marijuana to stop having seizures, and about his parents, and his parents friends, and the people in the town, and the other small towns, and all of the folks from Denver, and other parts of our state, who did what they could to make things better. 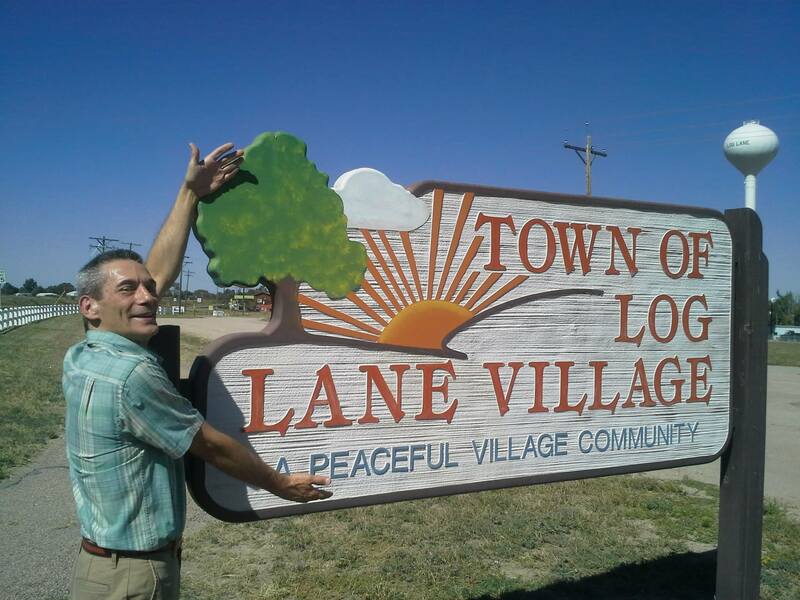 I am so proud to have been a part of bringing marijuana dispensaries to Log Lane Village. I just want people to get the medicine they so desperately need without having to drive hundreds of miles. It was worth the long hours. I want to say thank you to all the people who fought so hard to make this all happen. And thank you on behalf of all the patients in Northeastern Colorado who now have a more convenient place to find the quality medicine they need!